Oh when the saints, come marching in... to Toy Tokyo! 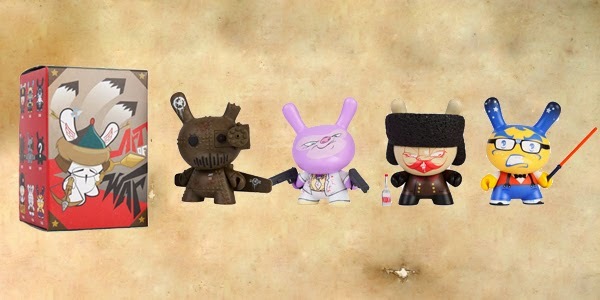 Kidrobot's newest blind box Dunny series "Art of War" are here online and in-store! This series is based of Sun Tzu's famous exposition on warfare of the same name and featured artists include Frank Kozik, Huck Gee, Kano, Sergio Mancini and more-- a superstar lineup for a superstar Dunny military! When you purchase a full sealed case (select quantity at 20) a special case chase figure is included to add to your arsenal! Attennnn-tion!